How exciting is it that the 13th Doctor will be a woman!?! And played by the fantastic Jodie Whittaker to boot! While my favorite doctor has to #9, Mr. Chris Eccleston himself, I am abuzz with anticipation over what this new Time Lord will bring. 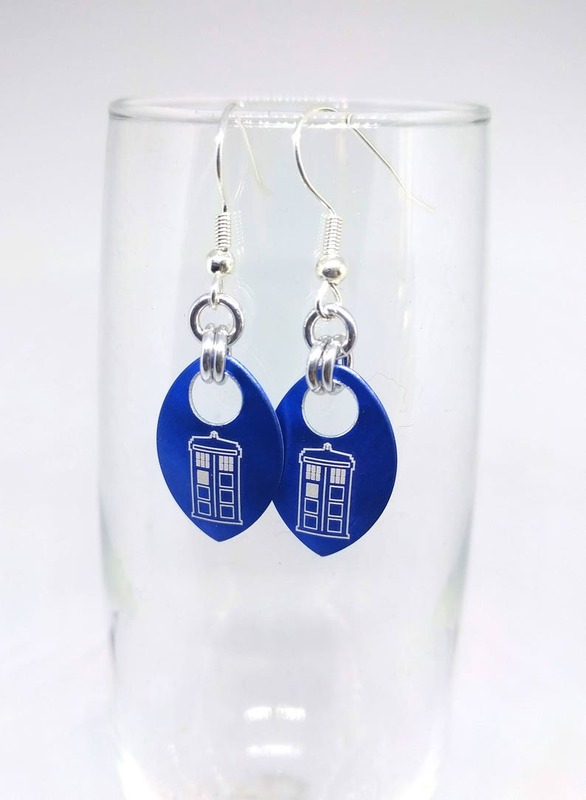 And to help spread that enthusiasm, I am thrilled to offer these Tardis earrings. 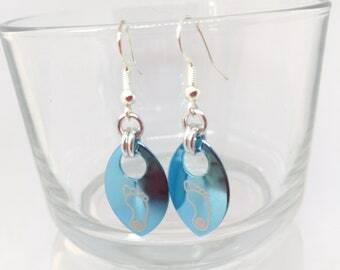 Earrings are about 1.5" long and made from an anodized aluminum scale and rings. Anodized aluminum is lightweight, durable, does not rust or tarnish, and cleans up with soap and water (lotion-free dish soap works best). 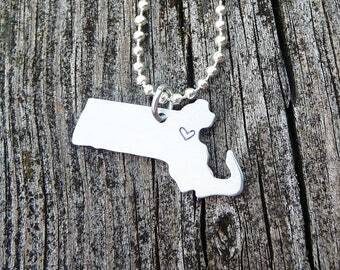 Please see Picture #2 to see how these earrings look being worn. Each piece comes packaged in an attractive silver foil gift box lined with cotton batting - perfect for gift giving to your favorite Doctor Who fan.